Gray Barnes, WGA Caddie Scholar from Trump National – Hudson Valley, and senior at the University of Tampa, had a run at the title of 99th Westchester Amateur Champion. Representing Centennial Golf Club, Barnes held the match with defending champion Christian Cavaliere until the very end. Cavaliere of Boston College, won 2-and-1. 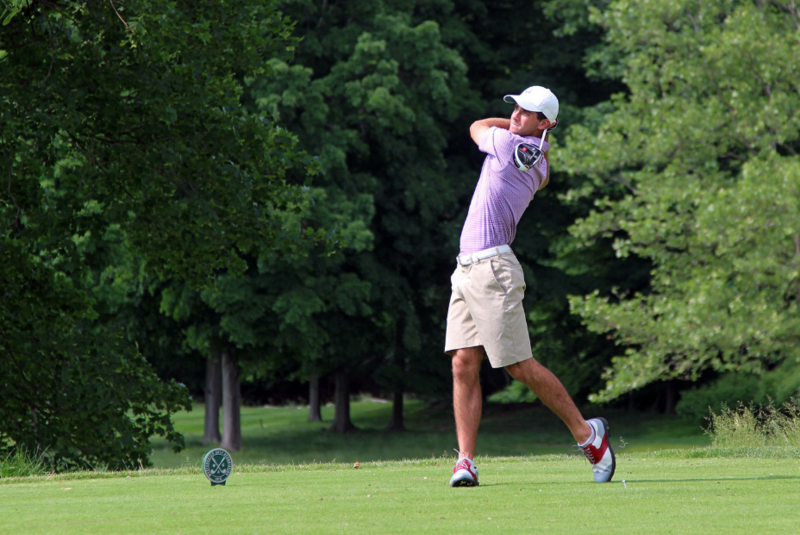 FAIRFIELD, Conn. (June 7, 2018) – The 36-hole championship match in the 99th Westchester Amateur did not disappoint on Thursday at Brooklawn Country Club, as the top two seeds battled down to the wire, but it was reigning titlist Christian Cavaliere of Mahopac who claimed victory, 2-and-1, over Gray Barnes of Centennial. Senior and Super Senior champions were also crowned, as Tom Yellin of Stanwich and Rick Blank of Metropolis won their respective brackets. Cavaliere overcame early struggles in the morning round as Barnes built a 2-up advantage with a birdie-three on the fourth. However, the rising Boston College junior responded with his first birdie of the day and when both found trouble on the par-five 7th, Cavaliere squared the match despite scoring a six. A 15-foot par save on the par-five 8th maintained momentum for Cavaliere, while his wedge play helped produce wins on the next three holes—which included birdies on both 10-11. A near hole-out from the rough on the 13th added another birdie for Cavaliere. While Barnes took advantage of a pair of Cavaliere miscues on Nos. 15 and 16 to trim the deficit to one, a par-four on the 18th gave Cavaliere a 2-up lead heading into the afternoon. Cavaliere built his advantage to four after winning two of the first four holes after lunch. Barnes showed his determination down the stretch by scoring three birdies in a seven-hole stretch, but Cavaliere immediately answered two of those with birdies of his own, not allowing Barnes to get any closer than two holes down. Barnes’ final birdie came on the par-four 16th, while halving pars on the 17th—and 35th overall hole—closed out the match in Cavaliere’s favor. Cavaliere is the first to win the event in consecutive years since Greg Rohlf did so from 1997-1999. Next year, the Westchester Amateur will celebrate its 100th playing at Winged Foot Golf Club. © 2019 Caddie Scholarship Fund, Inc. All Rights Reserved.